Everything about the Ansal Plaza, Jalandhar is geared to draw footfalls – path breaking architecture, inspirational interiors, the biggest brands, the best value and much more. The Property’s upcoming shopping arcade is such an end in itself. Taking up retial space in the arcade will be top-of-the-line brands in menswear, women’s designer wear and kidswear labels, leading music and electronic stores, sports brands, accessories, memorabilia and much more. Ansal Highway Plaza promises to be just the right stop-over for a sumptuous fun and food experience. An exclusively devoted food court, large indoor and roof top terrace seating of guests, will be elaborately designed and enriched with tastefully laid out interiors. Playing the hosts will be renowned names – ranging from fast food giants and renowned Indian and international cuisine chains. Located on the Ludhiana-Jalandhar highway, the plaza will also cater to commuters on the Amritsar-Pathankot Highway. At a mere 7minutes from BMC Chowk, 3 minutes from Jalandhar Cantt and 22 minutes from Phagwara, it is just a short, hassle-free drive away for residents in the region. Apart from highway commuters, the mall will also cater to a catchment of over 21 million resident consumers from surrounding urban areas. This area boasts of a high per-capita income, as well as plentiful NRI funds that boost consumer spends. The promise is also reflected in the fact that Phagwara depends entirely on Jalandhar for shopping. This entire market will also be catered to by Ansal Highway Plaza, Jalandhar. 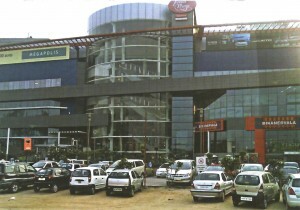 You can View the complete List of Shops and Stores in Ansal Plaza Mall, Jalandhar.